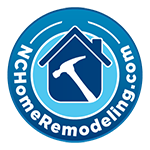 If you need faucets, have a shower pan liner leak, or are interested in a complete bathroom remodel, we can help. We work with all bathroom sizes and materials. It may be time to tile the hall bathroom to make cleaning easier and give a clean new look. Maybe you’d like to upgrade to low-flow toilets and change existing plumbing fixtures. Or perhaps your master bathroom would be better suited as a tranquil spa where you can relax in a new soaking tub. NC Plumbing Services chooses the best materials for your repair, maintenance or upgrade including brand names like Delta®, Kohler®, Moen® and Toto®. NC Plumbing Services provides complete plumbing services in Raleigh NC, Durham, Chapel Hill, Wake Forest, Cary, Garner, Clayton, Apex, Fuquay-Varina, Holly Springs and beyond including the counties of Wake, Harnett, and Johnston.